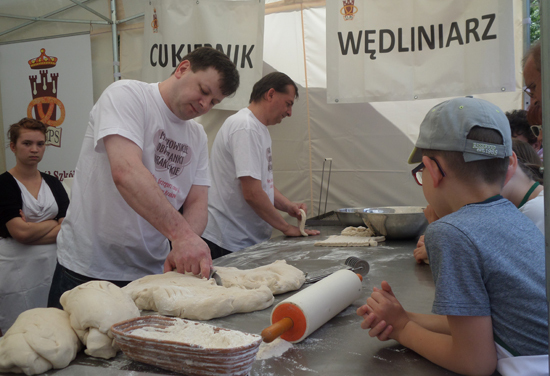 Polish bread was the star of the 11th edition of the Bread and Wine Festival on Plac Wolnica this weekend, and hundreds of people attended to taste and buy local products. 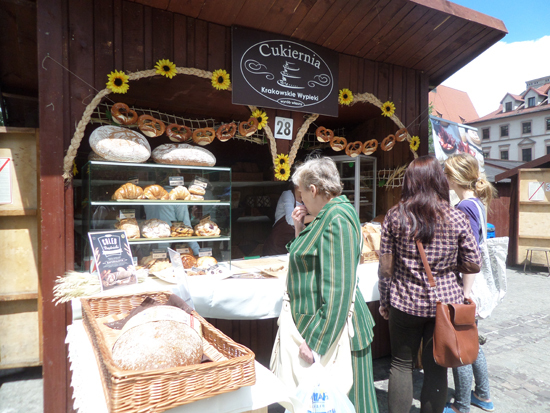 More than fifteen bakeries and some Polish wine producers participated in the festival, offering their products, and other food stands provided traditional Polish lunch staples. Polish wine and fruit juice producer, Vin-Kon, participated in the event for the third time. 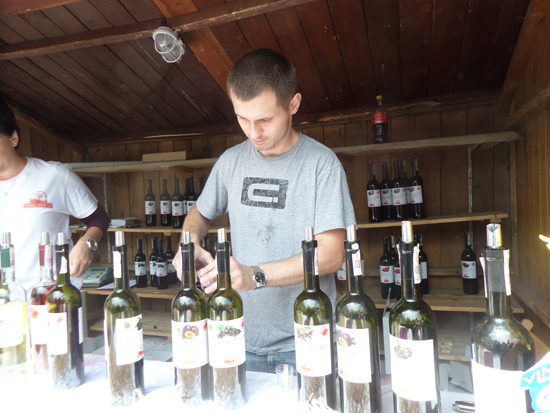 Łukasz, a Vin-Kon employee, explained that their wine: “is produced in a traditional way” and confirmed that the company has achieved much greater recognition thanks to the festival. One stand, run by the local food science and catering high school (Zespół Szkół Przemysłu Spożywczego w Krakowie), was providing hands-on bread baking lessons for visitors. Younger festival-goers greatly enjoyed kneading the dough. The festival ran from the morning of Saturday June 14 until Sunday 15 at 17:30.